Infomercials provide the unique ability to deliver instant results with an immediate call to action. Since television is two-dimensional (both sight and sound) we have the ability to connect with the viewer in a way no other medium can touch. Unlike a thirty second spot branding campaign we have the means in a 30 minute program to recognize, connect and finally partner with the customer in their quest for an automobile through the infomercial. We connect with the customer emotionally and become their motivation to improve their life and current situation. This connection cannot be accomplished in 30 seconds. Infomercials also provide you with quantifiable data directly tied to auto sales. You will know exactly how many leads were generated, the number of appointments set, and finally the number of autos sold. No other advertising, including: radio, newspaper, direct mail (one dimensional advertising) can give you steadfast answers and results! There are many infomercial agencies out there. Why should I use your company? Contrary to popular belief, you cannot just put any infomercial on the air and expect it to work. 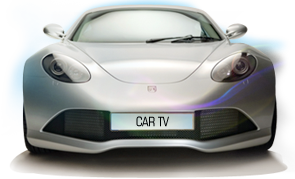 There are many automotive infomercials out there and more being created every day. So why do we stand head and shoulders above our competition? We have mastered the formula! We have techniques that we use so that people respond to our shows (an instant call to action). A successful infomercial is informative, entertaining and most importantly stresses a sense of urgency! Most car infomercials that you see are merely a longer version of their thirty second commercial. Or worse yet, literally mock the viewer’s intelligence demonstrating a complete lack of respect using costumes, gimmicks, cheerleaders or scantily clad women.. These techniques do not work if you operate a professional business! Our approach is from a business perspective. Buying an automobile for most people is the second biggest financial decision they will make (and for some it will be the biggest). It must be handled in a professional manner. If you are putting your name on the television advertisement, you want it to look good, don’t you? You know what they say about first impressions. How do you determine what stations and what times to air? Advertising decisions need to be based on reality not perception. We purchase television airtime based on our years of experience tracking where your customer is. Just because you watch the news or watch a certain TV station does not mean your infomercial viewer does! We have been tracking our leads for well over a decade. Remember consumers watch TV programming and not just one TV station…we place our advertisements on the stations and times that we know succeed. How expensive is infomercial airtime? Production costs vary widely. A couple of factors are: the time of day, the day of the week, and even the month. Other factors include the individual station ability to reach the viewer and the size of the market. Most stations sell their long form inventory on a quarterly or annual basis. Once the time periods have been sold there becomes the need to pay a bump rate. Bottom line there is no standard rate that we can quote without prior discussion but rest assured, we will secure the airtime that will best suit your needs, budget and maximize the sales performance of your infomercial. Why can’t my current agency of record buy the ½ hour airtime? We have extensive experience in infomercial placement, giving us an advantage in understanding the nuances of the entire television market. There is more to the process than the purchasing of time. One must also factor in the airtimes that will produce the leads you must have to be successful. Most agencies do not have the understanding or the years of experience in dealing with this medium. Purchasing of long form media requires a unique process very different from the purchasing of thirty second commercials. We specialize in securing airtime with our strong relationships developed over the years. We completely understand the process and know what time periods will drive leads! Unless your agency has considerable experience buying infomercial time, their chances of success are non-existent. I want to use my vanity 800 number…why do I need to use a different 800 number that you assign? We assign a unique 800 number to your dealership in order to track the leads your infomercial is generating. This strictly benefits you in tracking what is successful in every aspect of our program by station, date and time. You should continue to use your vanity number as part of your branding campaign in the marketplace and utilize the unique 800 number to measure direct sales on our infomercial advertising programs. What lead to sale ratio should I expect from your infomercial program? This is a very popular question…the best way to answer is to ask you a question. How high of a percentage are you currently operating at? We have seen some dealerships operate at a closing of 7 percent before utilizing our program and believe that the percentage is great. Then there are dealers that operate at 15 percent and feel that anything lower is a failure. We are convinced that any dealership can do a minimum 10 percent and gross $3,000-$3,500 per sale from the leads we generate and go as high as 20%. There are three key factors that affect an auto dealer’s closing percentage: inventory, lenders, and personnel. We need to first ascertain the sales techniques you are incorporating. You see…our program specializes in sub-prime and must be handled in an extremely systematic fashion in order to totally capitalize on the abundance of leads generated. Our program is a TRUE partnership in every aspect of the process. We will work with you in determining the best inventory to have on hand, the correct lenders for the sub-prime market. The first two factors are easy to identify and are usually not the cause of a dealer’s inability to succeed in sub-prime. The real key is personnel. Our dealers who are hugely successful in sub-prime are good because they have a system and they follow it. They work the system and treat every lead as if it’s gold. They call every single customer and exhaust every lead. And, they treat each lead exactly the same. They also understand that the sub-prime business is a number’s game. They bring every customer into the dealership regardless of what their credit bureau says. Good dealers will tell you that a bureau only provides half of the story. The other half comes from the story you can create for the lender and what you can do with the customer when you have them in front of you. Why do you suggest we focus a portion of our sales staff to your sub-prime program? Prior to our program we have seen dealers that are not good at working sub-prime leads. Most dealerships do not have a sub-prime system in place and rely on their salesmanship to get the job done, or not. In many cases the sales staff only calls those customers whose credit bureaus look good at first glance. Dealers have told us that they call every customer but upon further review, they only call the customers they think they can get bought. This strategy does not work. Do this and the numbers will work against you. Here is a quick example: On any particular Weekend your infomercial delivers 100 leads. The dealership utilizing our system call all 100 customers in conjunction with our first front call center and get 60 appointments. They get 30 of those people to show up and sell to one-third, or 10, of them. The not-so-successful store takes those same 100 leads and only calls 30 of them after reviewing their bureaus. They only get 10 appointments of which 5 show up. They might sell 2 units. Why do you suggest that we bring every possible customer in despite their low beacon score? Simply put…it is a numbers game. Our extremely successful dealerships have mastered the concept and embrace every customer that comes into the door! First, as you well know car buying is an emotional event for most people. Once they are on your lot they become a much more engaging customer with only one thing on their mind…THEY WANT A CAR! Now why should you bring everyone in despite a low score…co-signers. Remember the old expression when you marry someone you marry the whole family? Think in those terms. We see again and again that the primary person looking to buy does not have a high enough beacon score for most lenders but after digging deeper many potential customers will have someone that will co-sign! What is the process once the customer calls the 800 number? First, we recommend an IVR prompt system to first capture the lead. We do this in order to secure the return phone number within seconds of the call. Capturing this number immediately allows us the opportunity to call the customer back even if they leave no information. We experience an extremely high connection rate. Second, we use our “live” outbound call center to dial in on each customer. We confirm the customers’ needs and ask very specific questions in order to provide a very clear picture to your sales and finance team the customer profile if you will. Thirdly, we set up the appointments and fax/email an appointment log, individual customer information and details. There are several other factors involved but this is a quick description. How soon does your call center return a customers call? We will have a “live” call agent return a customers call in as few as 6 minutes with an average time of around 15 minutes. We have seen over the years that the sooner we reach the customer the more “excited” they are to come in. The formula is simply this…the infomercial sets in place an action with a call of urgency. The customer responded by immediately calling the number on the screen. The more immediate we are in returning the call the more likely the customer will drop whatever they are doing and come in. Once that potential customer gets distracted with other things happening in their day the more likely they are to lose the momentum and will not set an appointment. Why is a prompt callback so important? Same concept as to why our call center reacts as quickly as we do… Our years of experience show that the longer it takes for a return call the colder the lead becomes. Keep in mind that when a person is in the market for an automobile they have many options. You MUST be the first to respond to them. Each lead is like perishable fruit. The sooner you pick it the sweeter it is. Don’t let the fruit fall off the tree and start to rot…it certainly won’t taste very good at that point! In our experience, successful dealers return calls to all customers within 12 hours. Other dealers average nearly 72 hours to return a call. Look at it from the point of view of the customer. They responded to the infomercial, they are ready to buy now and want a call back right away. Not calling them makes it seem like you do not care so they buy elsewhere. You just lost a sale! Why do I need to have a stable of Special Finance lenders on hand? The foundation of any successful special finance program begins with your choice of lenders and the number for which you do business with. Every lender will have different criteria and objectives driving their approval process at any given moment. When a lender is tightening up their approval process and turning down a particular loan another lender will be lessoning their guideless and restrictions. Having a variety of lenders is much like the number of leads…it’s a numbers game and the more options you have as a dealer for financing the higher your close ratio! As a general rule you should have a minimum of five to seven quality lenders who cover the entire credit spectrum. When is the best time for me to utilize your program? Now and the future! Everyday is the best time to generate leads and drive traffic no question. Keep this in mind traffic drives traffic. Our program pays for itself in two ways. We drive quality leads directly to you with one objective…to leave your dealership with an automobile. Second benefit… The busier your showroom floor the more traffic you will attract the more ups you will have. Think of your floor much like a restaurant. If you drove by a restaurant and saw a line of customers out the door you would think that is definitely a place you would like to try. Conversely if you drove by another restaurant and saw the parking lot completely empty you would think that the food could not be that good and you would never try it. Your show room floor works in the same way. When customers see a packed floor their mind evokes a sense of urgency. If all of these people are trying to buy here it must be the place to buy! How would tax season impact my dealership? Tax season really runs for a solid 4 months with the average tax payer refund equaling $2,366 giving you a great down payment and helping the customer qualify for a loan! There are third party companies that specialize in Tax Preparation and refunds for your customers with no liability to you. Here are a couple of key facts to keep in mind: You are providing the customer with a valid service helping them complete their tax return. You receive the instant benefit with access to your customer’s tax return money with no liability to you. Funds can be received in as little as 30 minutes. You help insure that these customers spend their refunds with you!